Banner Ads Are Back And Only A Few Lucky People Are Ever Going To Know About This Underground "Re-Marketing" Boom! 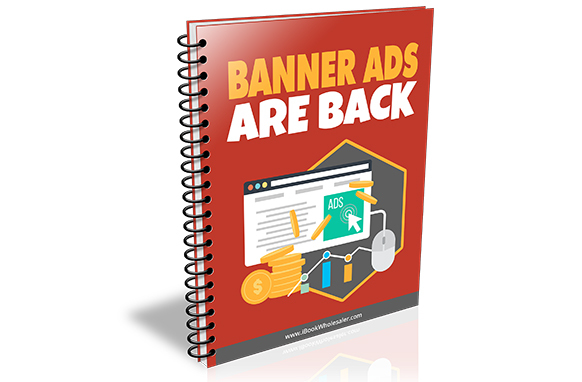 Make money with banners ads by utilizing the newest. Re-Marketing technology available today! Did you think that banner ads were dead and gone years ago? For a long while, banner ads were the most ineffective advertising strategy ever. Sure, they were great in their infancy but as time went on people started ignoring them. The good news is that banner ads are back and they are here to stay. Better yet you can "target" your customers based on their interests, so you can actually get 'targeted traffic" with banner ads now.